A few things happened in my life recently to bring me to start exploring color again with Hazel. 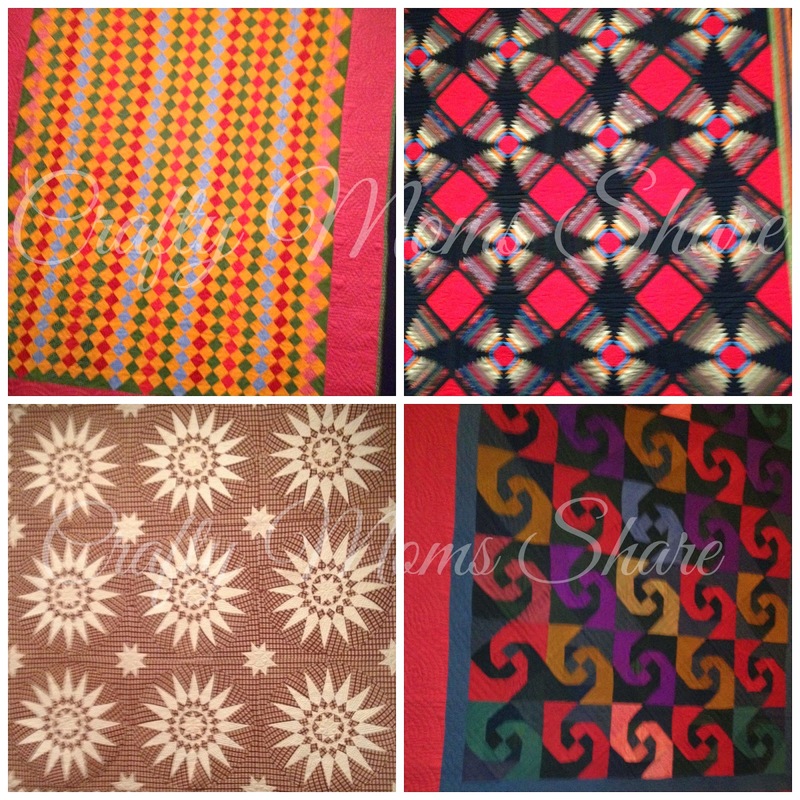 The first is I went to see the Quilts and Color: The Pilgrim/Roy Collection at the Museum of Fine Arts with my mom. The exhibit really focused on how the colors played with one another and I thought it would be neat to take Hazel to see it. It will still be there when she is out of school, so we will be going. I found it so interesting to see the movement in some of them. Here are a few of my favorites. 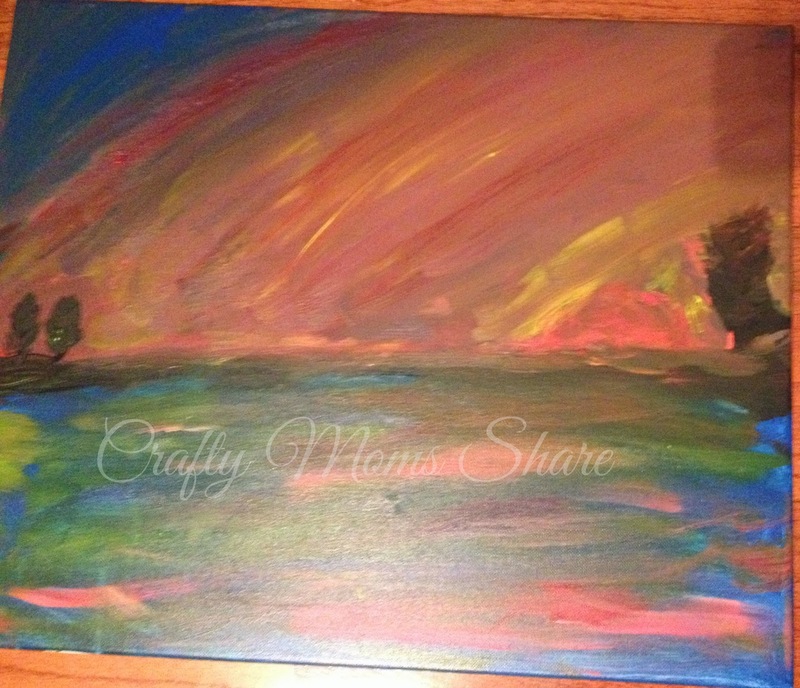 Then last week I went to a paint party. Have you been to one of them yet? I had actually planned this one as a fundraiser for my church. 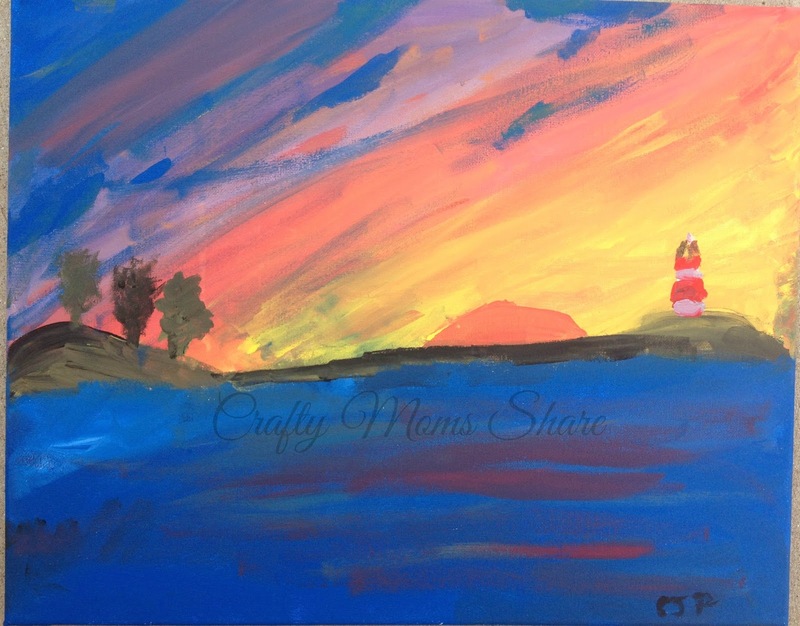 We met at a local restaurant and had dinner first and then joined the instructor in the back room of the restaurant for our paint lesson.We chose to use an instructor from North Shore Paint Party and I picked the sunset from her gallery. 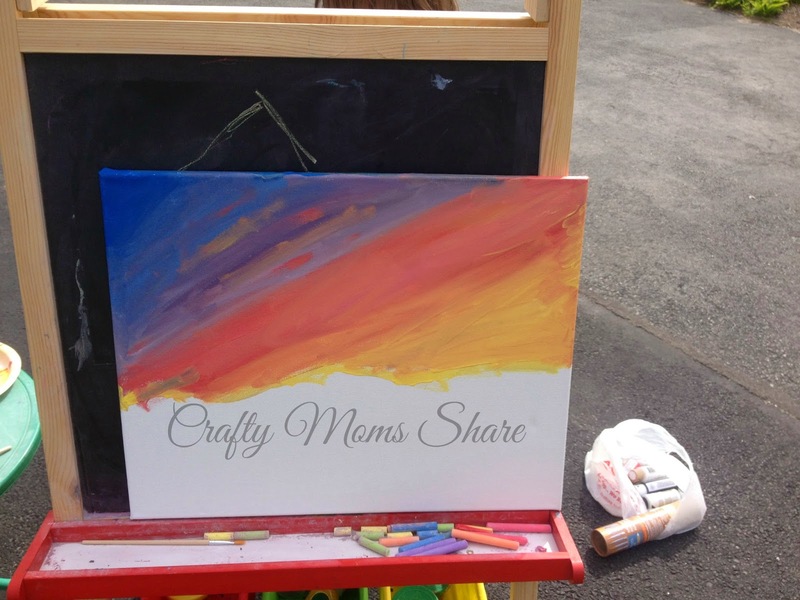 She gave us only five colors of paints to make our sunset paintings--red, blue, yellow, white and black. Hazel was rather jealous that I was going to this and when I saw all the paint mixing to get the colors you want, I knew I would have to try it with her. Since I was not completely happy with the colors in my painting, I decided to try again with Hazel. I learned when you are happy with the color or pretty happy with it to stop. If you keep painting it will eventually get muddy and dark. It was amazing to see all the different versions of the painting at the party. 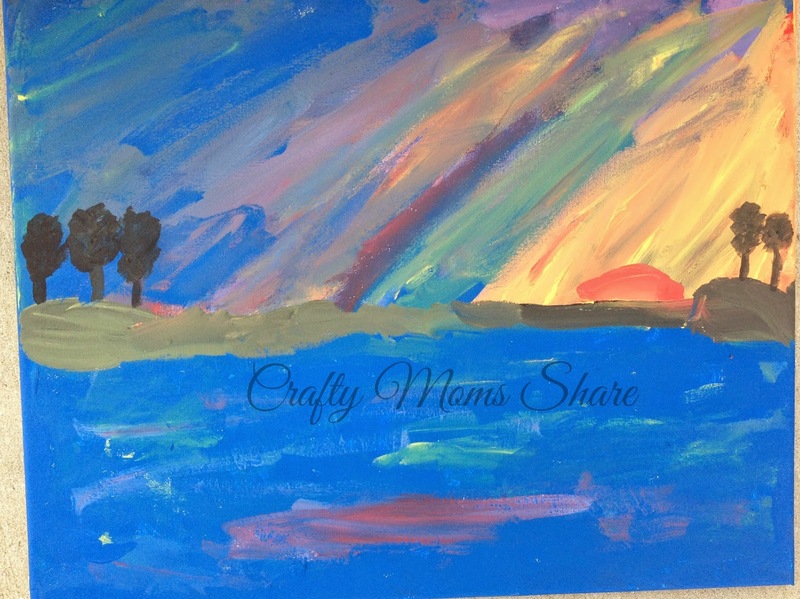 Since I had some acrylics, brushes and canvases, we tried it the next day. 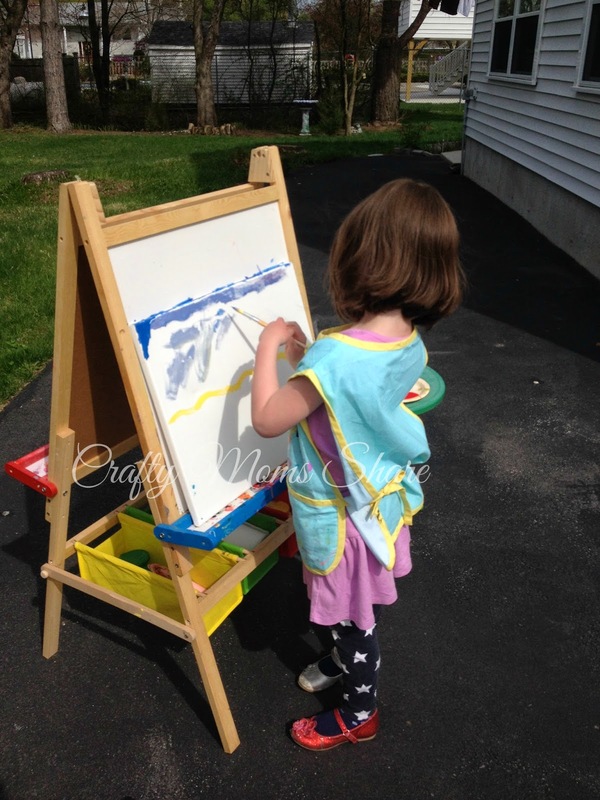 Since the weather was gorgeous we painted outside. I however did not have the correct acrylics and should have bought artist acrylics and not the little bottles I had. Oh, well. We had fun and love our new paintings. 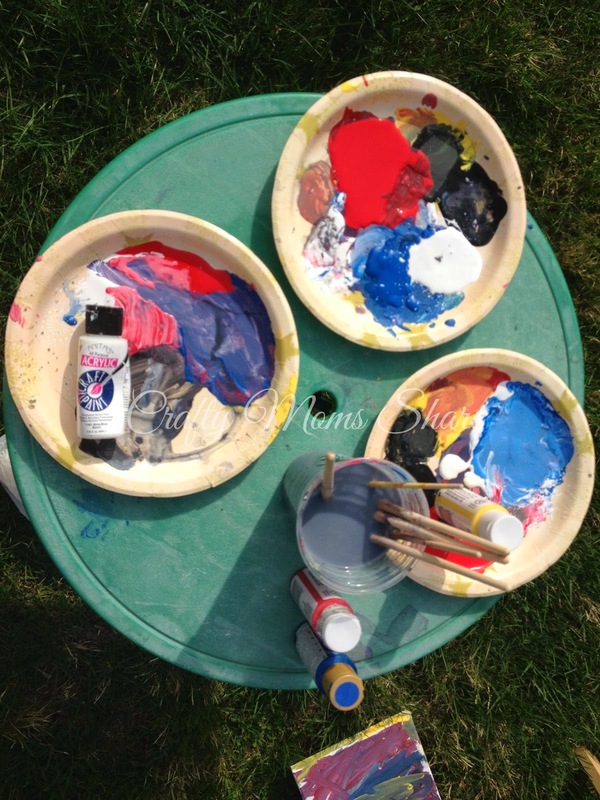 For supplies you need red, yellow, blue, black and white paint, three brushes (large, medium and small), a canvas (we used 16" x 20"), a cup of water, a paper plate for your palette, and paper towels. 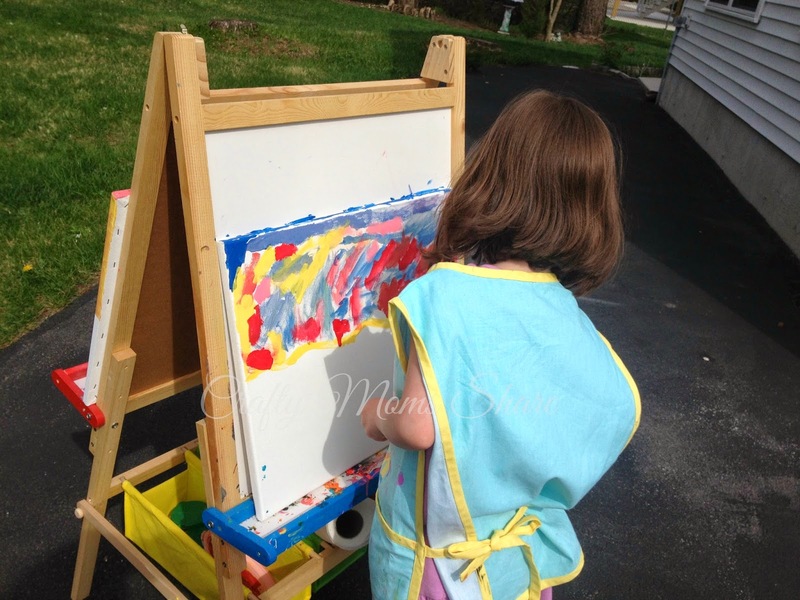 Oh, and an easel. 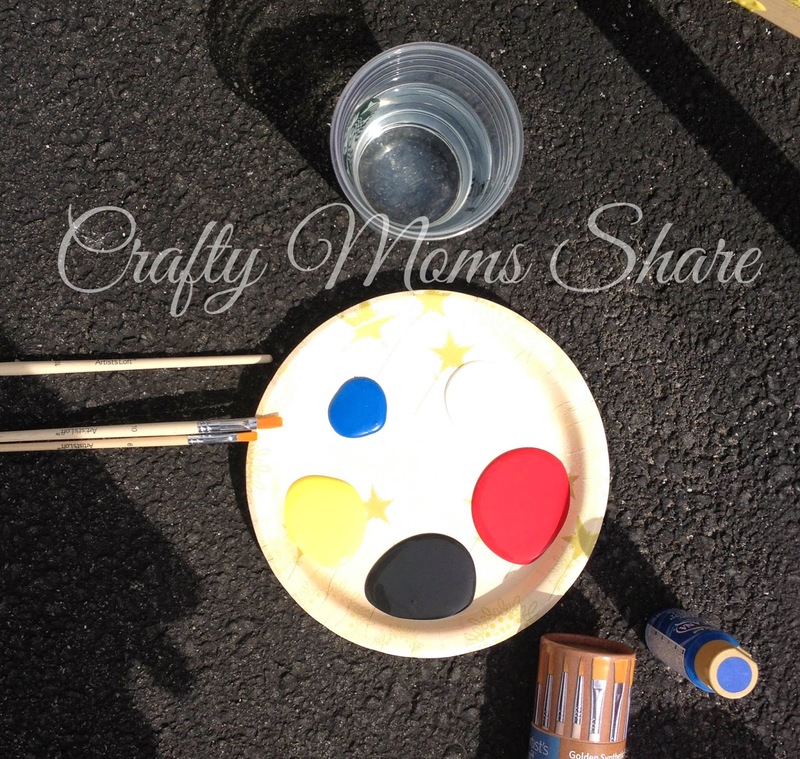 You give each painter a paper plate with a spot of each color on it and three brushes. They can mix colors on their plate. We started in the upper left corner with blue for the sky. Then we mixed other colors. In the class the instructions were to mix green, but I tried purple at home instead. I made the mistake of not showing Hazel how to do the strokes to fill in the area, so hers was blotchy at first. I painted a yellow horizon line on hers so she would know where the sunset ended and we talked about the colors to use for the sunset. When we both had finished our skies we stopped and looked at each others. At this point Hazel had a bit of a meltdown since she liked mine better than hers and she decided she would never be able to paint well. I showed her the stroke and helped her achieve more of a sky like mine. Then we started on the water. The water is a bit easier since it is mostly blue. I helped her a bit more than I normally would have but that was because of her mood. I also did her trees for her since she was sure she would not be able to do them. I added a lighthouse to mine for Steve. He loves lighthouses. We have both paintings hanging up now. Hazel has hers in her room. She still wanted to paint so we grabbed more canvases. She really wanted to make grey paint. Our paper plates looked like this in the end. 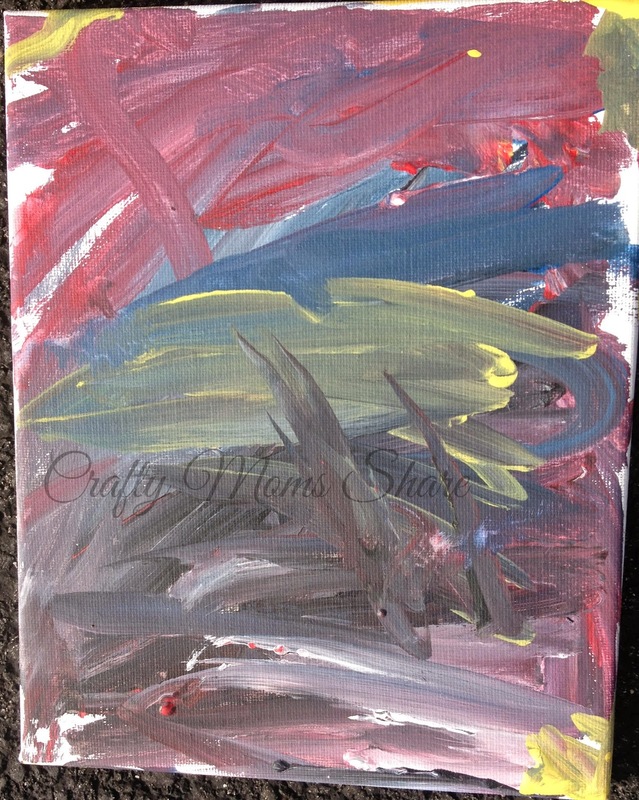 You can also use the water to help mix the colors a bit on the canvas, but this worked better with the other acrylics. I did not help at all with her second painting. 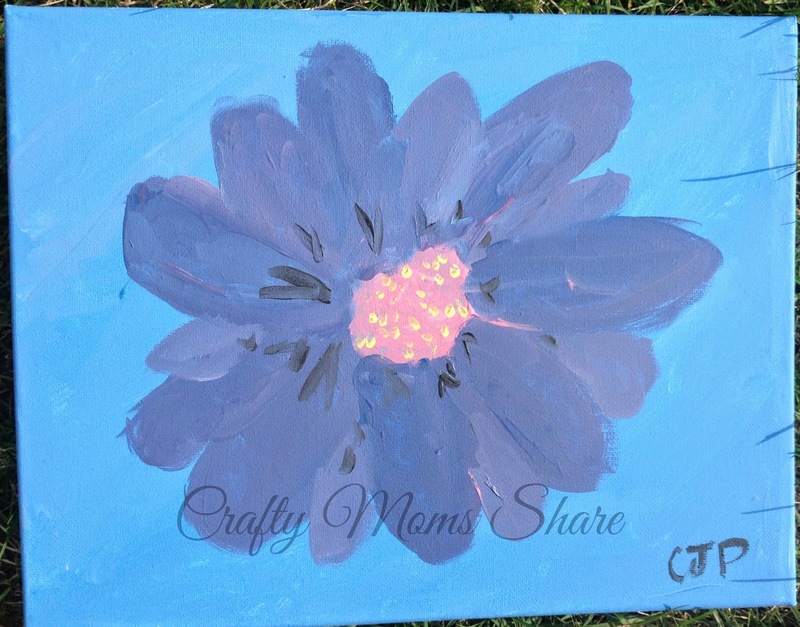 While she did this I painted her a flower for her room. We have been reading books on color as well. 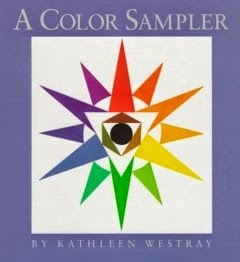 Our favorite has been A Color Sampler by Kathleen Westray. 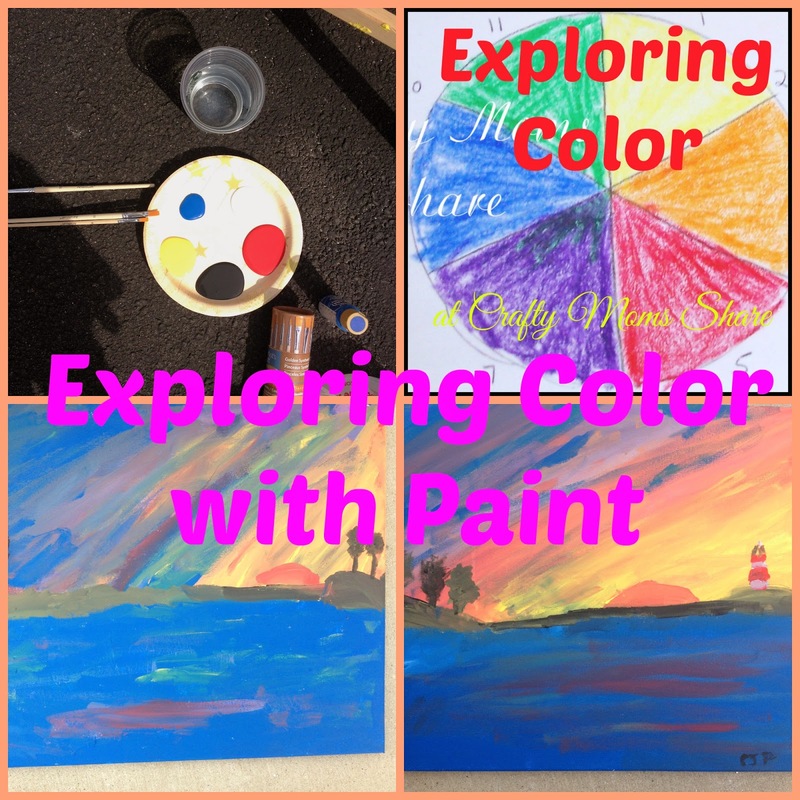 Hazel is really enjoying learning more about colors. She already knew her primary and secondary colors. Now we have been exploring with other things like tints and shades.